Check out our tools & resources page for a list of places to call in many animal situations. Come volunteer with Animal Lifeline! We are always in need of volunteers to help us along the way. 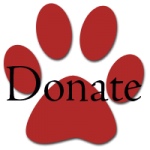 Whether it’s socializing rescue cats, organizing merchandise at the thrift store or joining us for one of our numerous events, every little bit helps!